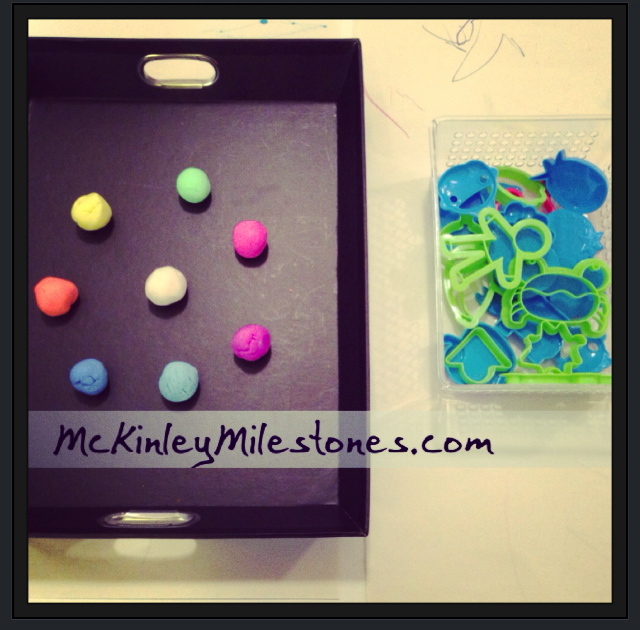 Curriculum: Sensory activity: Play doh. Different colors of Play doh. plastic “cookie cutters” and other play doh tools from the dollar section at target. 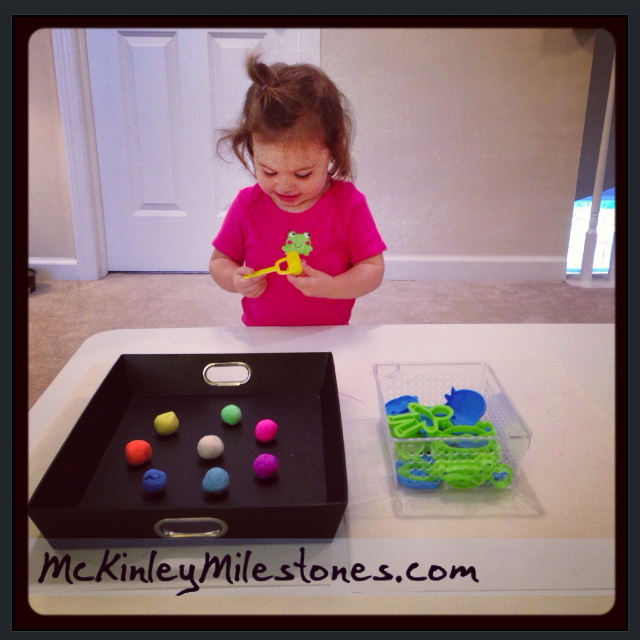 This is a great sensory activity for toddlers because it allows them to explore multiple colors and textures. 15 minutes later…there was play doh pieces everywhere in the tray. It was an exercise that took a lot out of McKinley because it was so interesting and new. I recommend taking a little ball from the play doh containers. Next Post Monday Milestone: McKinley Reads!